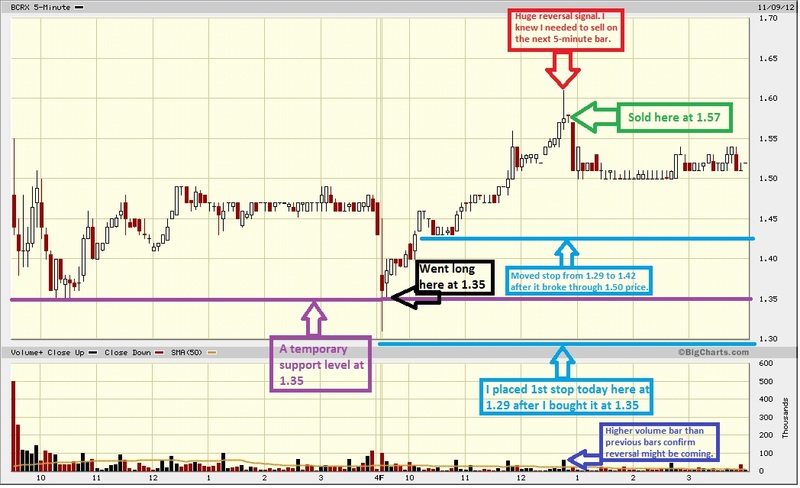 TRADER 9: Trade of the day, BCRX!!! Went long again today 1500 shares BCRX @ 1.35 after getting stopped-out yesterday on it at 1.37. It had a decent close yesterday, so when I saw the selling fear in the morning again today I thought it was way overdone. 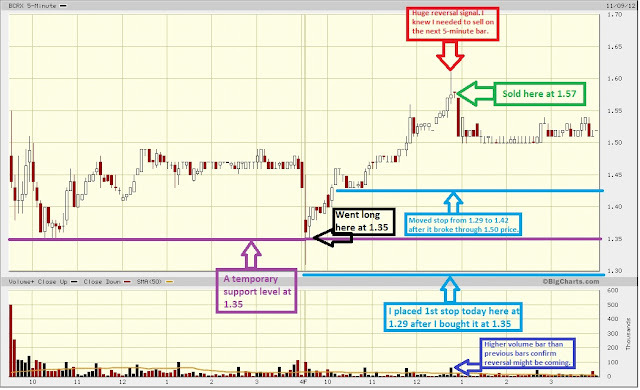 Sold/Exited at 1.57 when it formed a inverted hammer reversal candlestick signal with a higher volume bar on it. I knew I had to get out on the next 5-minute bar. I should have bought more shares, but didn't like the way the markets have been selling-off the last 2 days. Gained .22 point on this trade.